We just love sending holiday cards, and we love that Treat.com makes them personal! I am loving the Favorite Reindeers card! 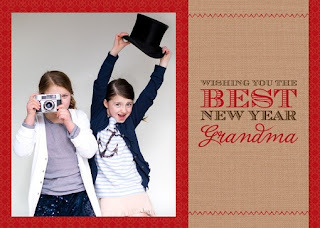 Perfect for the grandparents! These Christmas Greeting Cards are fantastic, because not only can you personalize them with photos and your own greeting, but Treat.com will SEND the card for you too! 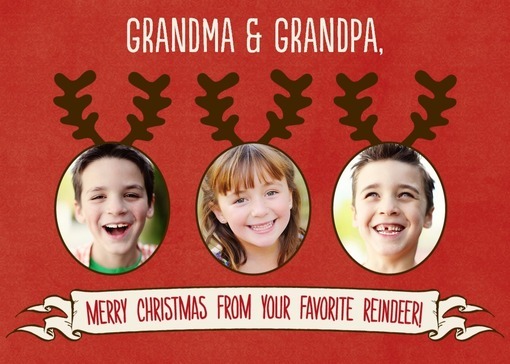 Have a favorite aunt or uncle who cannot make it to your home for the holidays? We love that you can even personalize New Years Cards! Make sure you order by December 16th to get your cards in time for the holidays! Want a little treat of your own? Well, enter below to win 10 cards to send this holiday season! Confetti countdown new year's card. Love the Always Nice card! Thanks! i like the confetti countdown! I have a great picture to go with the Santa Witness (scared kid picture). I like the favorite reindeer cards. I am having a hard time choosing the design I like, but I know that I love the ornament cards! these are all super cute! love the new year's cards. I like the Grandest Gift. letting my kids pick em out, so who knows??? theyve got better taste than me! I like extremely merry. It is cute!! I really like the new year's cards! I think the Festive Flares New Year card is super cute. I like the New Years Skyline card!